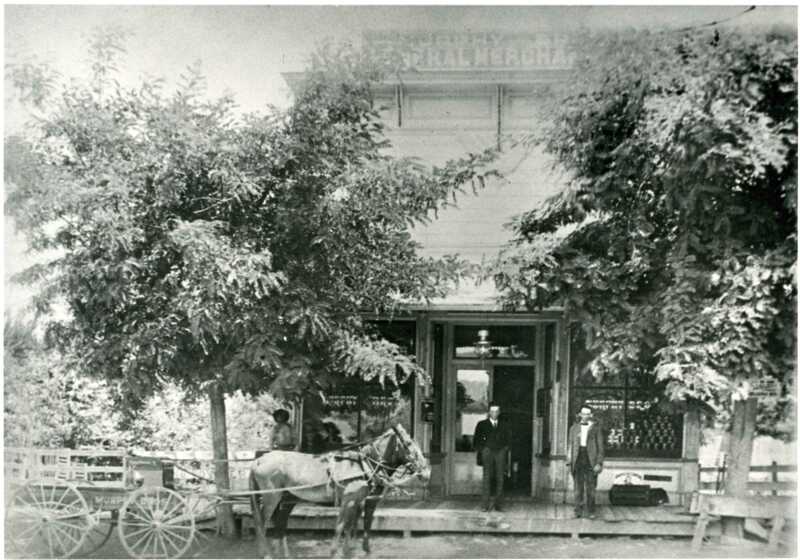 Thomas Edgar was the first postmaster in Santa Ynez, when in 1883 an official post office was established. Prior to that, Charles Gardner and Frank Smith and their brides were probably the new town’s first residents. W.B. Cunnane, a medical doctor and his brother, who opened a drug store, were also among the town’s earliest settlers. 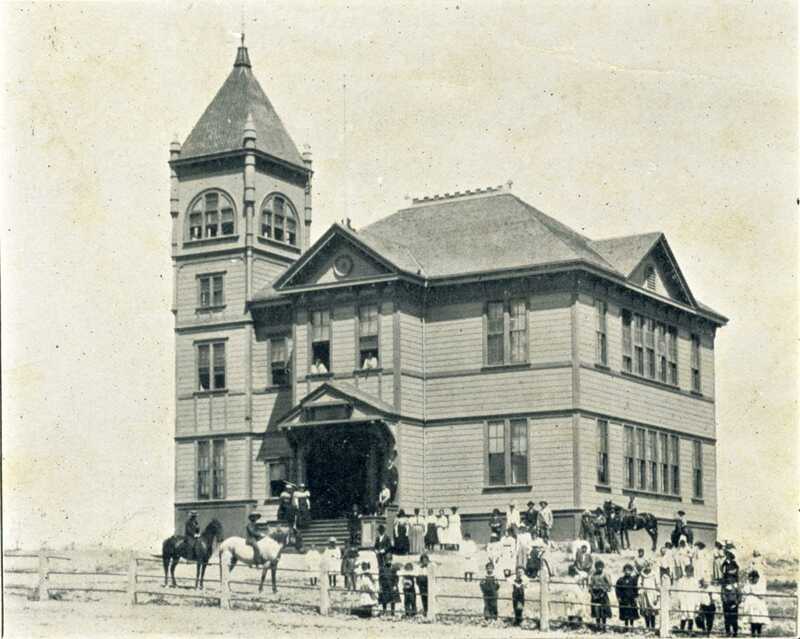 A combined Santa Ynez grammar and high school was built in 1884 on the site of today’s College grammar school. The school also served as a public gathering place until a meeting center, Greer’s hall, was opened. The original school burned down in 1908. A new grammar school was erected at the same site and the high school relocated just below town. In 1937, the high school moved to its present site halfway between Solvang and Santa Ynez. Based on the hope that the Southern Pacific Railroad would come through the Valley via the Gaviota Pass, the Santa Ynez Valley Land and Development Company anticipated a population boom in Santa Ynez. As part of its promotion to sell lots in and around the Santa Ynez Township, the Company built the landmark College Hotel in 1889. The large and imposing hotel was located at the site of the present day “Santa Ynez Feed and Mill.” Many well-known entertainers of the day such as W. C. Fields and Charles Chaplin appeared at the College Hotel, as did some of the old-time medicine shows. The hotel burned to the ground in 1935, bringing an era to an end. 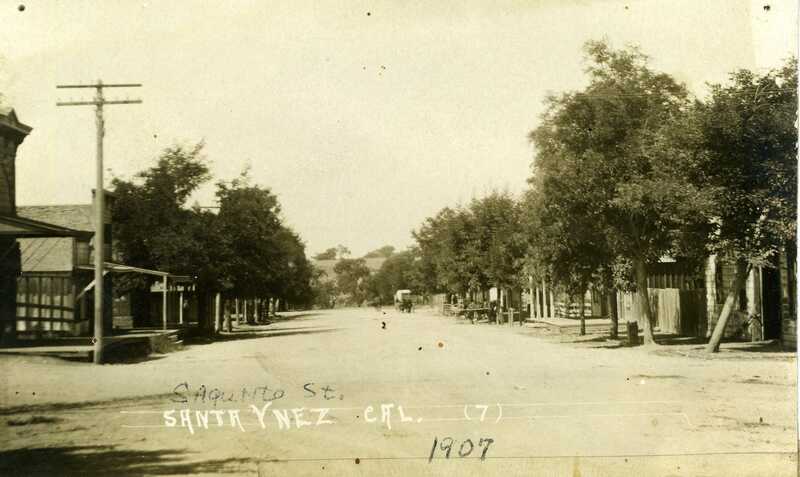 Santa Ynez did boom for a time in the 1880’s with a number of businesses in operation, ranging from saloons (some insist there were 11 at one time) and blacksmith shops to general mercantile stores, a pharmacy, a feed store, millinery and barber shops, and real estate agents. But when the Southern Pacific made its fateful decision, the town dropped back into a peaceful existence rather than the urban center it was hoped to become.